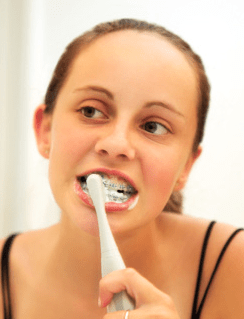 ← Baby Teeth and Bad Hygiene: What’s There to Lose? This entry was tagged Brushing With Braces, Dr. Geri-Lynn Waldman DDS, Flossing With Braces, Hudson Valley Pediatric Dentistry, Middletown NY Dentist, Oral Hygiene For Teeth With Braces, Orthodontic Hygiene Standards. Bookmark the permalink.